The Paleogene Period followed the Cretaceous and lasted from 66 to 23 million years ago. Next came the Neogene Period which continued until 2.6 million years ago when the great ice ages began. Nearly all the plants and animals found today on Earth evolved during these periods. The flora and fauna were very similar to those of today, but the distribution of plant and animal species was often quite different. How about palms in the Arctic or crocodiles in Canada’s far north, for example? The success story of modern mammals begins after the mass extinction which ended the Cretaceous Period. Then, 75 per cent of all plant and animal species on Earth died out. Among them were the dinosaurs, and the ecological niches they left behind were filled by mammals, which had survived. A large number of various new mammal groups evolved in a very short time. Some of the new species were predators, others were large plant-eaters or small insect-eaters. Some developed the ability to fly, others adapted to living in the sea. 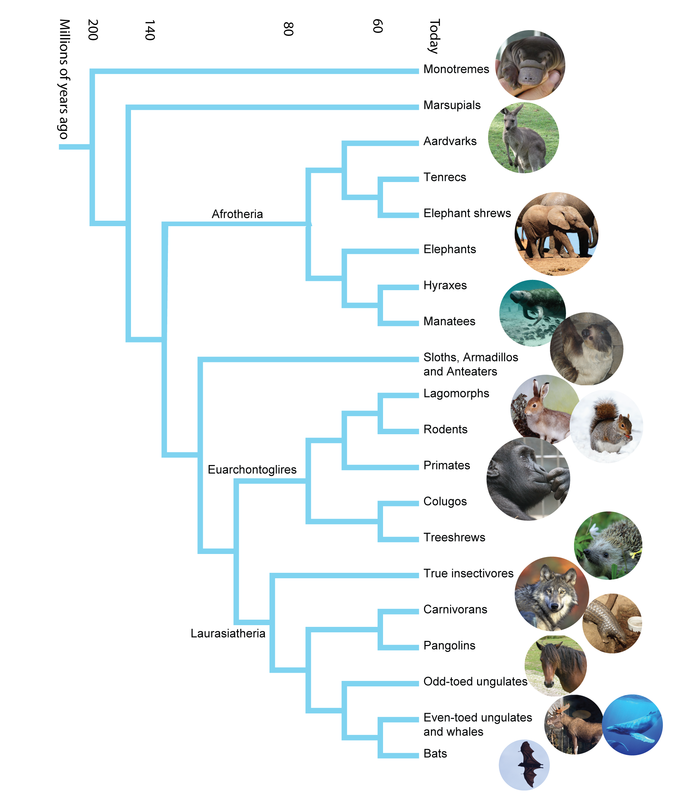 Some of the new mammal types later died out, but most were successful and still live today. All the basic types of mammal that exist today – predators, odd- and even-toed ungulates, primates, whales, etc. – evolved during the Paleogene Period. During the Neogene animals became increasingly like modern mammals, and eventually the species of today evolved. This family tree shows that most modern mammals evolved during the Paleogene Period, right after the dinosaurs died out. Världen förändras nu radikalt. Till en början, under paleogen Består landskapet till största delen av stora tropiska skogar, och djuren har anpassats för att leva där. Bland annat trivs de uddatåiga hovdjuren, som tapirer, hästar och noshörningar. The world now began to change rapidly. During the Paleogene vast tropical forests dominated the land and animals adapted to live in them. Among the animals that thrived were odd-toed ungulates (hoofed animals) such as tapirs, horses and rhinoceroses. But the climate became drier during the Neogene, and large areas became steppes and open forests. In that type of environment even-toed ungulates such as antelopes, pigs, deer and camels thrived best. Many different species of odd-toed ungulate lived during the Paleogene. Their numbers gradually declined and today only a few species remain. The opposite is true of the even-toed ungulates, today they comprise a mammal group of great diversity. Mammals occupied most of the ecological niches vacated by dinosaurs on land. Some mammals returned to the sea – just like the reptiles that returned to the sea during the Triassic Period and evolved into ichthyosaurs and plesiosaurs. The whales evolved from an extinct group of even-toed ungulates whose descendants chose the water over land. Thus, whales are related to such land animals as cows and deer, which has been shown by the study of their genes. Scientists have found many fossils which indicate that whales evolved rapidly. 48 million years ago. Pakicetus, about 1,75 meter, the oldest fossil relative to whales, lived partly in water. 47 million years ago. Maiacetus, about 3 meters, ears and lower jaw adapted to living below the surface. 37 million years ago. Dorudon, about 5 meters, early whale fully adapted to living in the sea. Present. 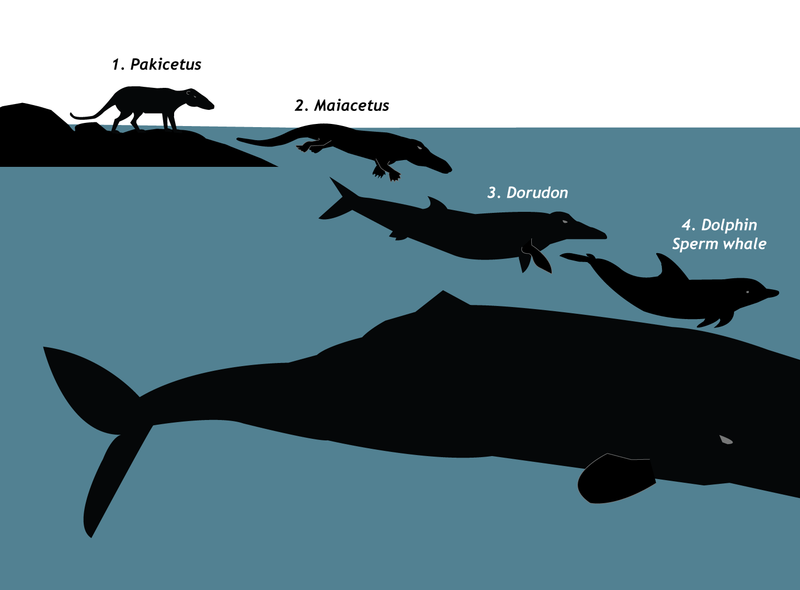 Dolphin, 3,5 meters, and sperm whale, about 20 meters. The oldest fossil of a relative to whales is of Pakicetus which lived 48 million years ago, partly in water. Somewhat later came Maiacetus which lived 47 million years ago, its ears and lower jaw were adapted to living below the water surface. The early whales Dorudon and Basilosaurus had already evolved 10 million years later. They were fully adapted to living in the sea, with altered skeletons, tiny feet, a long body with tail fin, and large hands to manoeuvre with. Today, there are around 280,000 species of flowering plants. This makes them by far the largest plant group among the world’s flora. They occur in every conceivable environment, from the tropics to polar regions, from deserts to bodies of water. Among the flowering plants, small herbaceous plants vastly outnumber trees and woody shrubs. Among the 280,00 species roughly 45,000 are trees, of which more than 90 per cent grow in the tropics. 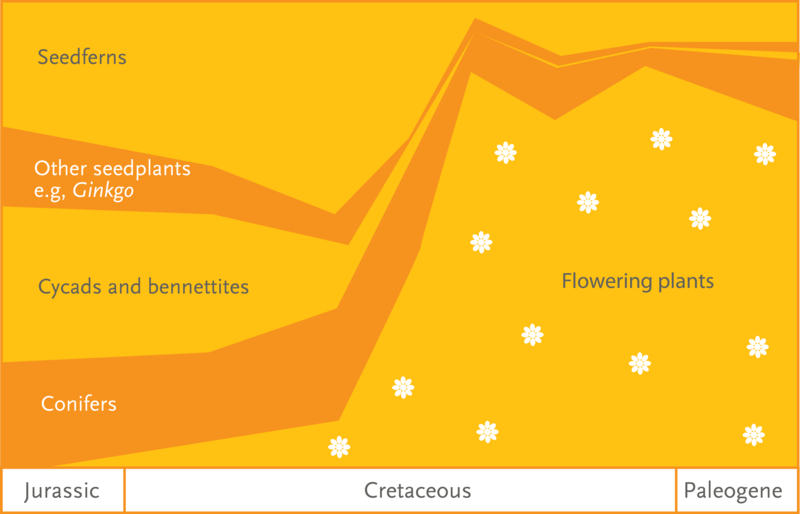 Most of the enormous diversity among flowering plants developed during the Paleogene and Neogene periods. 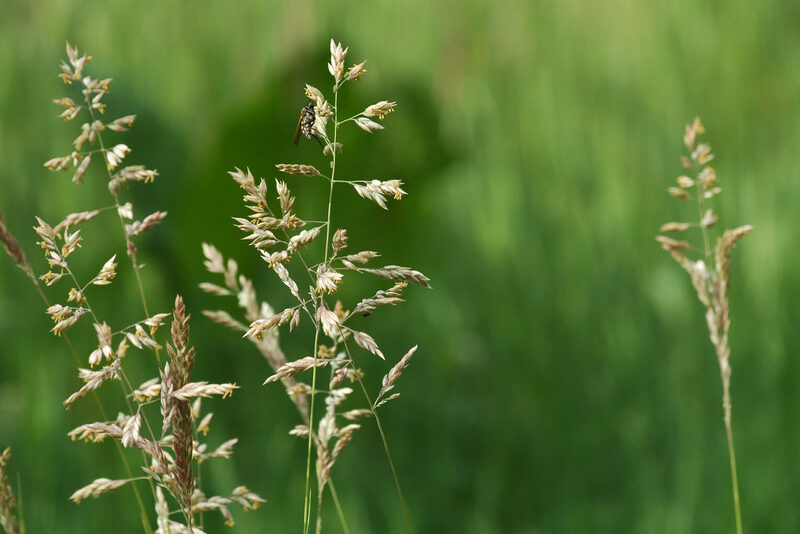 Most of the plant groups that were dominant during preceding periods – early horsetail-like plants, ferns, and gymnosperms such as coniferous trees – became less diverse and flowering plants came to dominate instead. Many genera of plants which evolved during the Paleogene are still found in modern environments. Among them are the most common trees in Sweden, including the birch, alder, maple and oak. The oldest fossils of these species have been found in the Arctic. During the Paleogene forests grew in northern Canada, northern Greenland and on Svalbard. The climate there was warm, and trees thrived. This is where most of the common tree species evolved. When the climate later became cooler during the Neogene, those tree species expanded southward. Some of the oldest fossils of alder, left, and maple, to the right, about 50 million years old. The shapes of the leaves are recognizable from modern species. 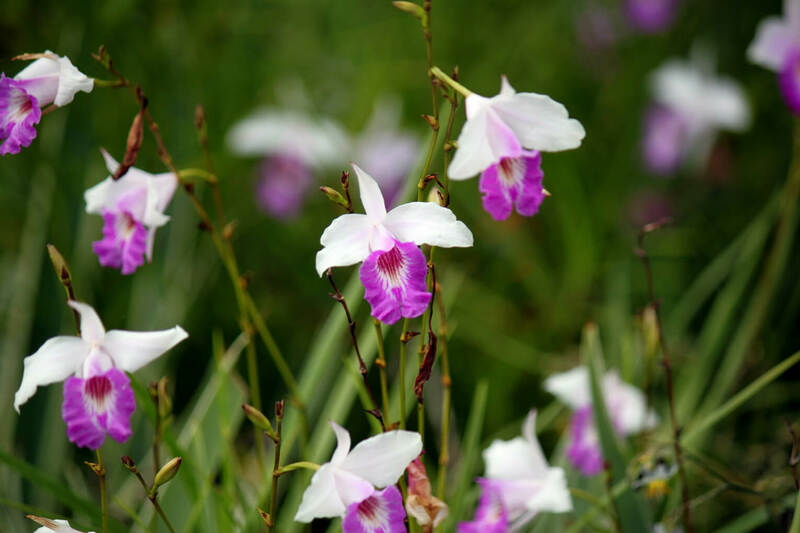 Today there are more than 200,000 species of herbaceous flowering plants. They are found in nearly all environments on land, except for glaciers and the driest deserts. Their diversity developed during the Paleogene and Neogene periods. Herbaceous plants are divided into families, many of which contain more than 10,000 species. Shown here are sunflower plants, orchids and grasses. There were many fewer species during the Paleogene Period. Of the fossil seeds from the period, scientists find that only 5 per cent are of seeds from herbaceous plants, while 95 per cent are from trees. Later, during the Neogene, the proportion of seeds from herbaceous plans increased to 50-75 per cent. That shows how forests were replaced by more open landscapes with more small plants. Scientists believe that this development is consistent with the onset of an increasingly colder climate during the period.